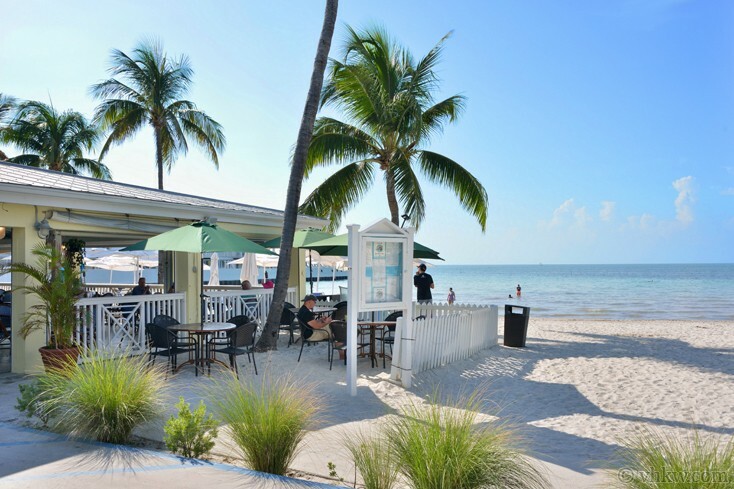 Activities: Uptown Key West - Close to the Southern Most Point of the United States and Key West South Beach. 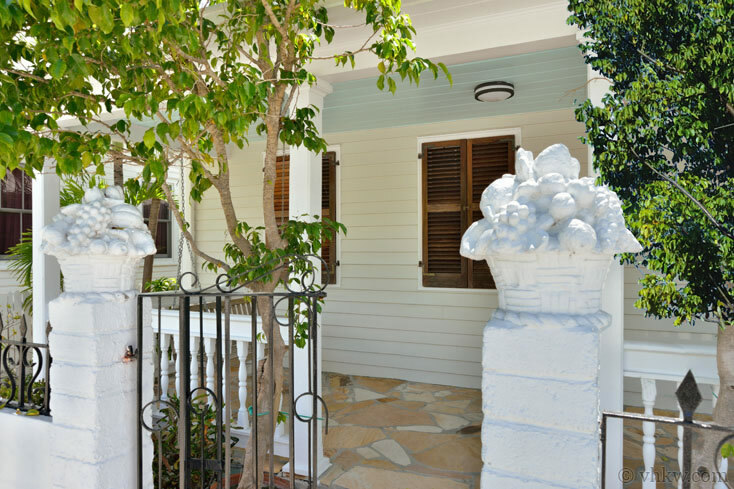 Cafe neighborhood features art galleries, wonderful eateries and internationally famous fine restaurants (Camille's is just down the street), coffee and tea house, fine gift and clothing stores, Grand Vin wine tasting, flamingo Crossing home made ice cream. 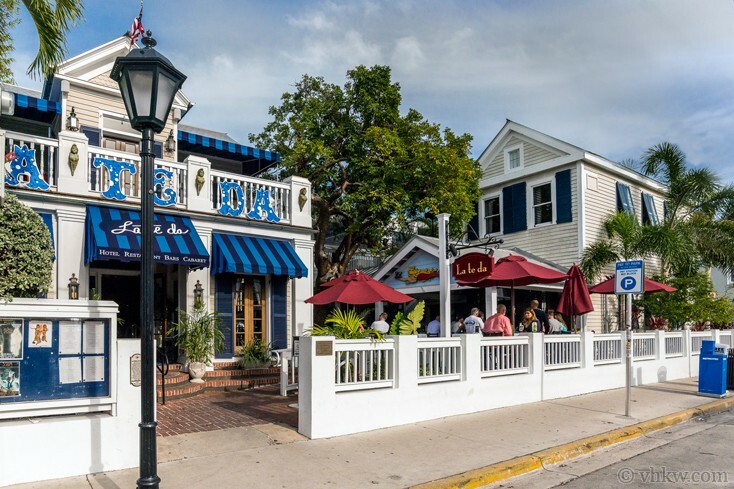 Start at the top of Duval St. near the Atlantic Ocean and can take the 20 min stroll to the Gulf of Mexico (remember it takes 3 to 4 Key West streets to equal the distance of a typical city block). Sailing, boating, diving, museums, nightlife. Restrictions: Smoke free house. Smoking permitted outside only. No pets. (Please don't ask!). We do not accept guests less than 25 years of age unless accompanied by a family group or guardian. Apr 20, 2019 - May 26, 2019 $3300 $600 4 night min. or 3 night min. 60 days prior to arrival. May 27, 2019 - Jun 14, 2019 $2950 $550 4 night min. or 3 night min. 60 days prior to arrival. 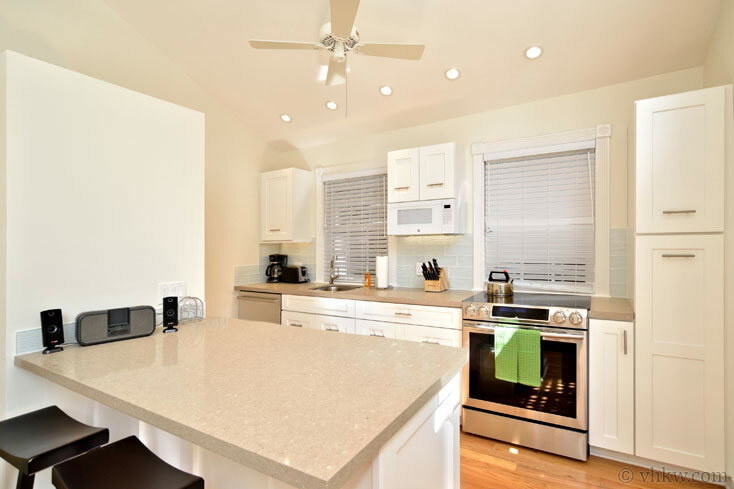 Aug 9, 2019 - Oct 19, 2019 $2950 $550 4 night min. or 3 night min. 60 days prior to arrival. Oct 27, 2019 - Nov 3, 2019 $2950 $550 4 night min. or 3 night min. 60 days prior to arrival. 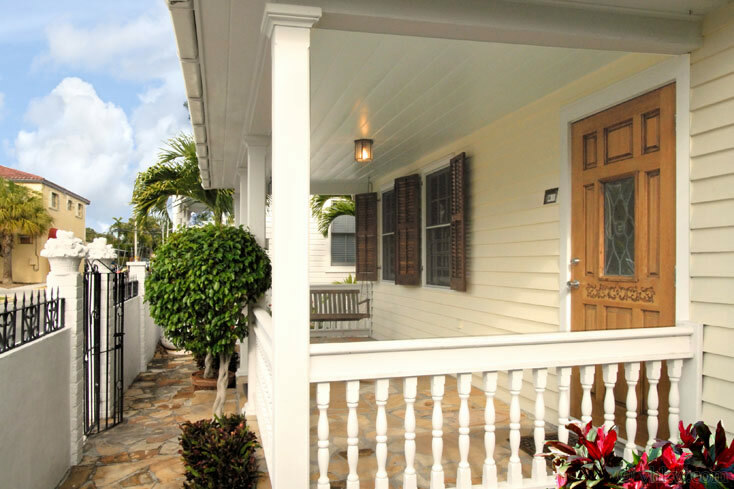 Nov 11, 2019 - Nov 22, 2019 $2950 $550 4 night min. or 3 night min. 60 days prior to arrival. Nov 30, 2019 - Dec 20, 2019 $2350 $550 4 night min. or 3 night min. 60 days prior to arrival. Jan 4, 2020 - Jan 10, 2020 $3875 $700 4 night min. or 3 night min. 60 days prior to arrival. Jan 11, 2020 - Jan 17, 2020 $3975 $700 4 night min. or 3 night min. 60 days prior to arrival. Jan 18, 2020 - Jan 24, 2020 $3975 $700 4 night min. or 3 night min. 60 days prior to arrival. Apr 18, 2020 - May 24, 2020 $3300 $600 4 night min. or 3 night min. 60 days prior to arrival. May 25, 2020 - Jun 12, 2020 $2950 $550 4 night min. or 3 night min. 60 days prior to arrival. Aug 8, 2020 - Oct 22, 2020 $2950 $550 4 night min. or 3 night min. 60 days prior to arrival. Nov 1, 2020 - Nov 7, 2020 $2950 $550 4 night min. or 3 night min. 60 days prior to arrival. Nov 16, 2020 - Nov 19, 2020 $2950 $550 4 night min. or 3 night min. 60 days prior to arrival. Nov 29, 2020 - Dec 18, 2020 $2350 $550 4 night min. or 3 night min. 60 days prior to arrival. We stayed in 'Key West Dreamin' Christmas week this (2018) year. 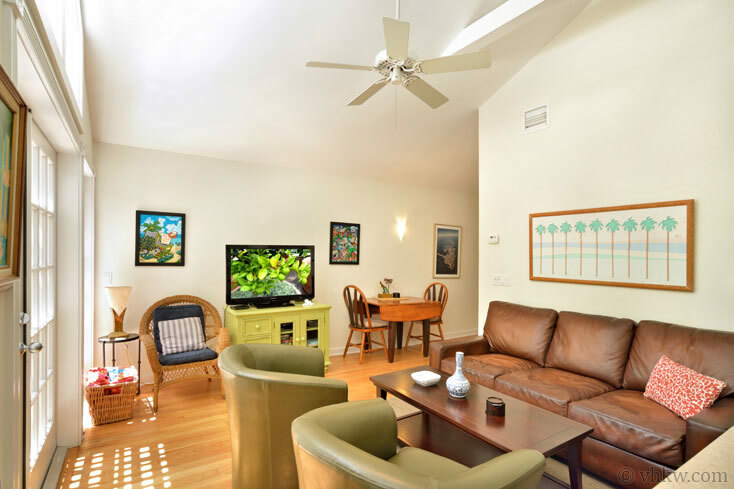 It is a great two bedroom, two bath cottage with a beautiful court yard and medium sized pool. 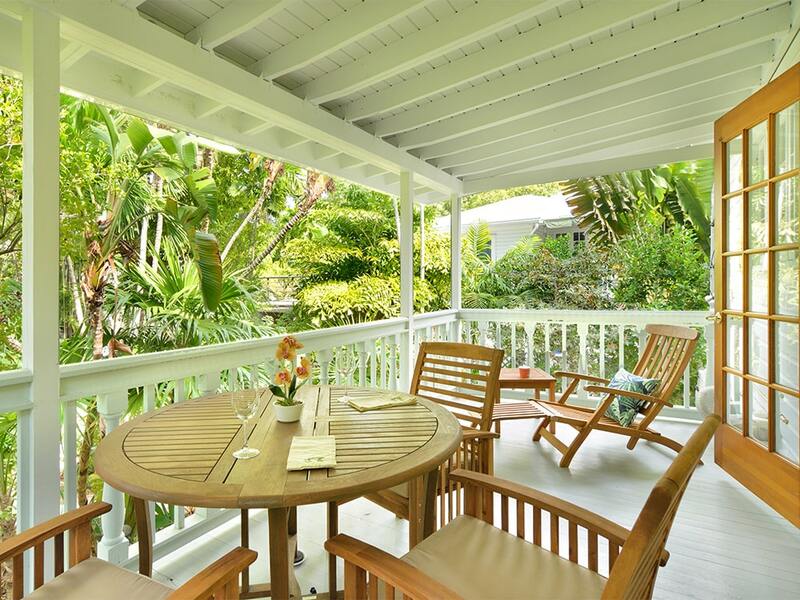 The property is charming and meticulously maintained. 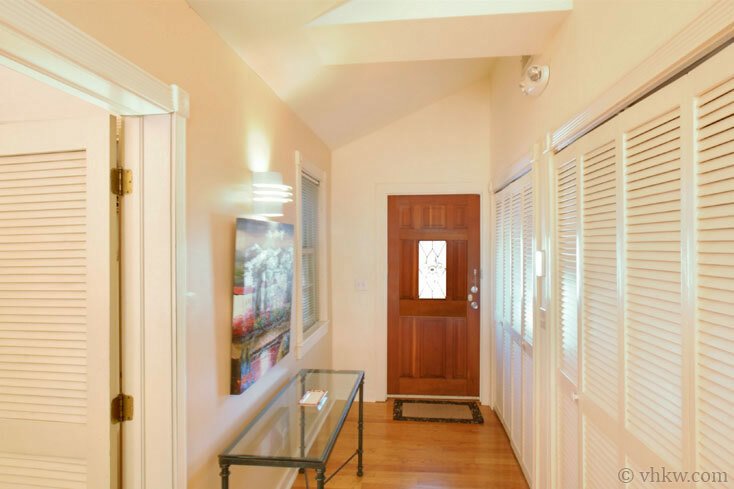 It was larger than we needed as a couple but we knew the area and think it is very desirable. You're about a 15 minute walk from Malllory Pier for example . The neighborhood is residential, meaning pretty quiet. The folks at VHKW are pleasant and eager to be of assistance. If you are thinking of renting this one pay attention to the warning about size restrictions on parking. We rented a compact and it was fine but any larger would not fit the drive. Anyway you walk almost everywhere. We had another wonderful week in Key West. Vacationed with our sons (25 & 28} ...loved every minute of it! The home is beautiful and very convenient to everything. We enjoyed the outdoor space as much as the inside. We will defiantly visit again!! We enjoyed our time at Key West Dreaming . Although it was very near the Duval Street action, it seemed like a quiet oasis. The kitchen was well equipped, the beds were comfortable. We especially enjoyed sitting by the pool for cocktails and meals. 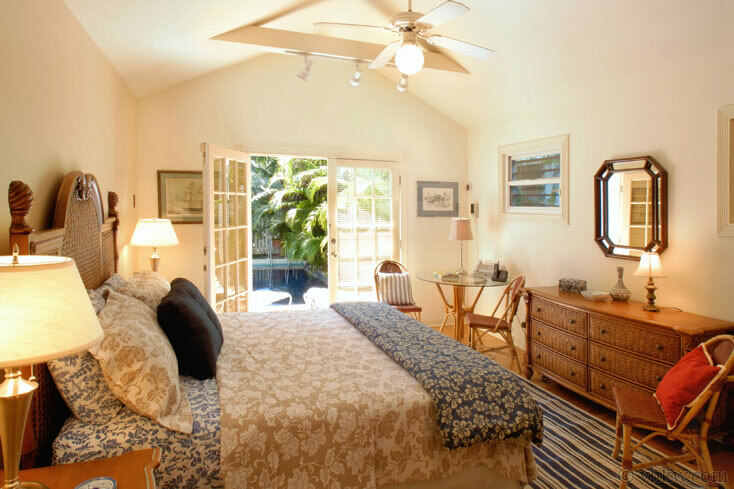 KWD is a charming and comfortable retreat in Key West. The customer service was excellent. Each time I called I reached someone and any questions I had prior to arriving were answered. The house was perfect- clean, cozy. It was great not to have to stop by anywhere and check in first. It was easy to get ready to leave and check out. The VHKW staff even assisted with a baggage issue that we had before leaving. My third time staying with VHKW and I must say the team is simply amazing from reservation to check in to check out. 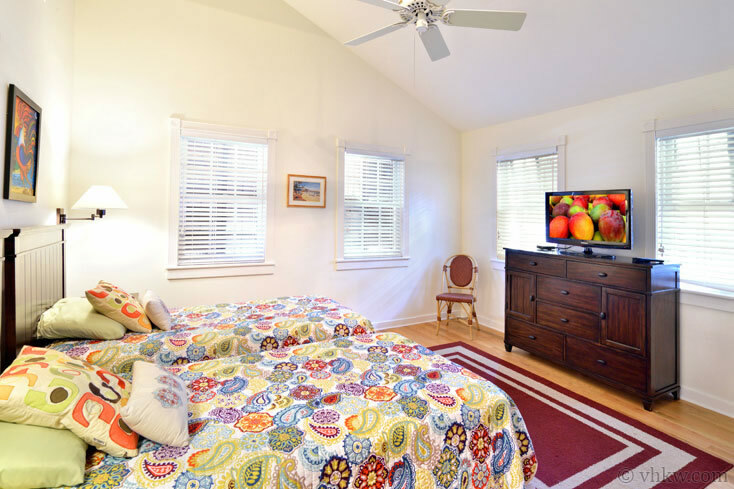 The property was amazing with all the highest quality amenities, ultra clean and supremely comfortable. I honestly wouldn't consider staying anywhere else. Thanks to Finlay and Ginnette for making my trip to my favorite place amazing as usual. Already trying to plan on coming back. Key West Dreamin’ was the best part of our trip! 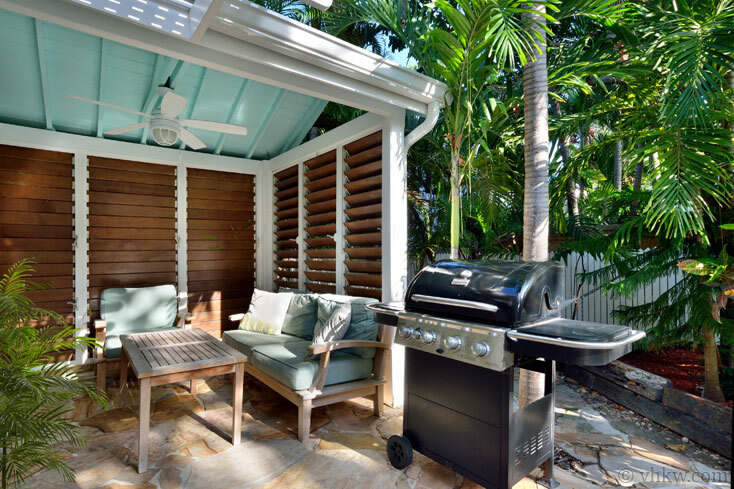 The location is perfect and the outdoor space is nicely shaded with a pool that is larger than appears in the pictures. The house is well stocked and the beds are comfortable. My only constructive feedback is that the pull-out sofa mattress has seen better days and should be replaced, as well as the two chairs in the living room (the leather upholstery is wearing off). We had 5 adult women in the house and it was comfortable, however 6 may seem crowded. All-in-all a great house, cold A/C, awesome pool and outdoor space and modern kitchen/bathrooms. I’d stay here again! Could not have been a better place to stay. 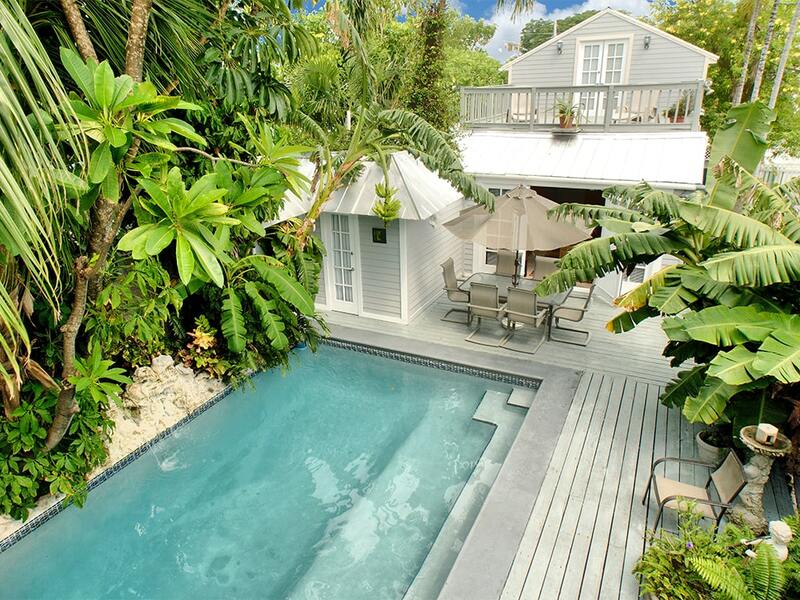 Great house and outdoor area with pool. Perfect location. 100 our of 100! We loved this beautiful home! It was roomy and comfortable. It's more southern location made it quiet, yet still a short walk to the buzz of Duval Street. There was plenty of closet space and also a very comfortable bed! I really appreciated that the rooms had shutters so would stay dark in the morning (this is often lacking in KW homes). The outdoor space was equally phenomenal. There is a covered seating area with comfortable furniture and a fan, and the pool is a good size. 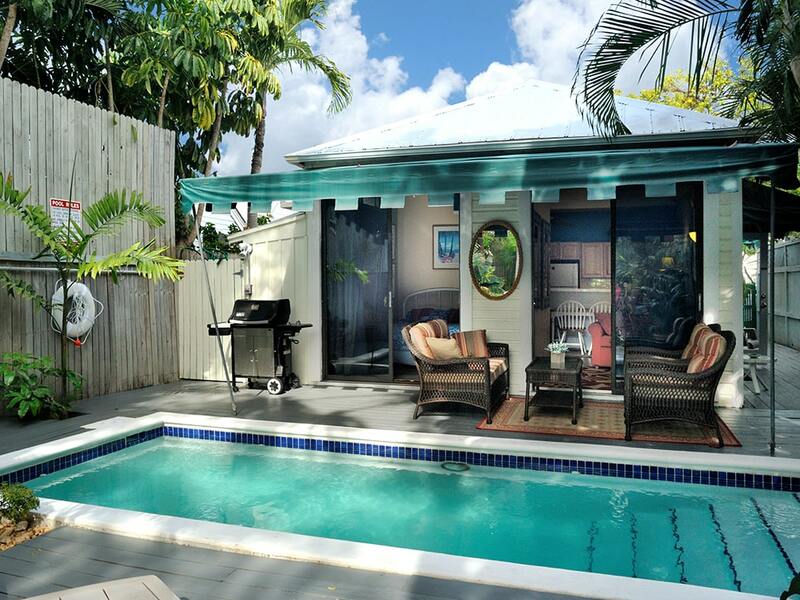 The backyard and pool area were very private, with privacy fences and lush green landscaping. The house was in very nice shape but time to replace the living room chairs. A/C worked well. An increasing number of good places to eat and drink in the immediate vicinity. Definitely recommend the comedy club at the end of the block - we saw a great show! 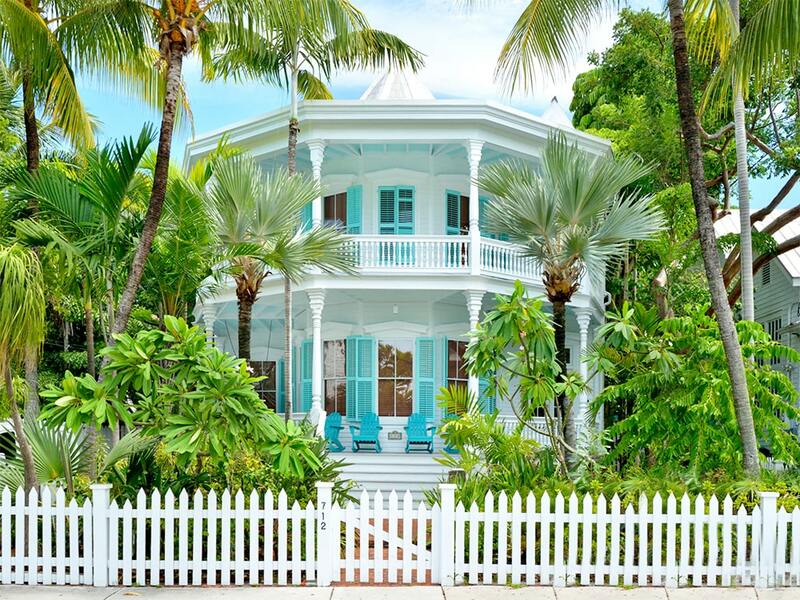 THIS IS HANDS DOWN OUR FAVORITE HOUSE SO FAR IN 10 YEARS OF VACATIONING IN KEY WEST! We had excellent customer service from VHKW. The only constructive comment is to re-stock kitchen items over time things break or go missing of course eg lids for pots/pans, dinner plates, pitchers, there's a base but no pitcher for the blender. THANK YOU FOR A WONDERFUL VACATION! We loved this cute little cottage. Very clean and well kept. The modern appliances and updated style left us without a want or care in the world. We had everything we needed. It felt like home. The pool was amazing! 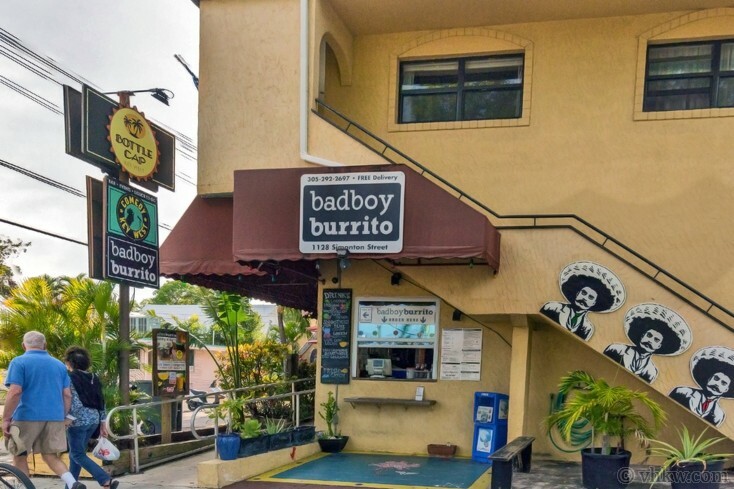 I would highly recommend this place! We will definitely be coming back to our little Honeymoon Oasis!! Key West Dreamin' met all of our expectations and then some. The house was spotlessly clean and well supplied with towels, paper products, laundry detergent, etc. The king bed in the master bedroom was incredibly comfortable, and the bathrooms were well-designed with plenty of shelf space. The living area and kitchen were light-filled and lovely, but what we liked most of all was the outdoor pool area. It was lushly landscaped with tropical plants and palm trees, and there were many shady spots for dining, reading, and relaxing. The outdoor furniture was very nice, and the pool was the perfect size, i.e., not too small. We paid extra for the pool to be heated, which made it quite comfortable for early morning or evening swimming. The location was great, too, with the wonderful French bakery, La Grignote, just around the corner. Easy walking to everything, iguanas in the palm trees, and rum drinks by the pool made it an ideal getaway! 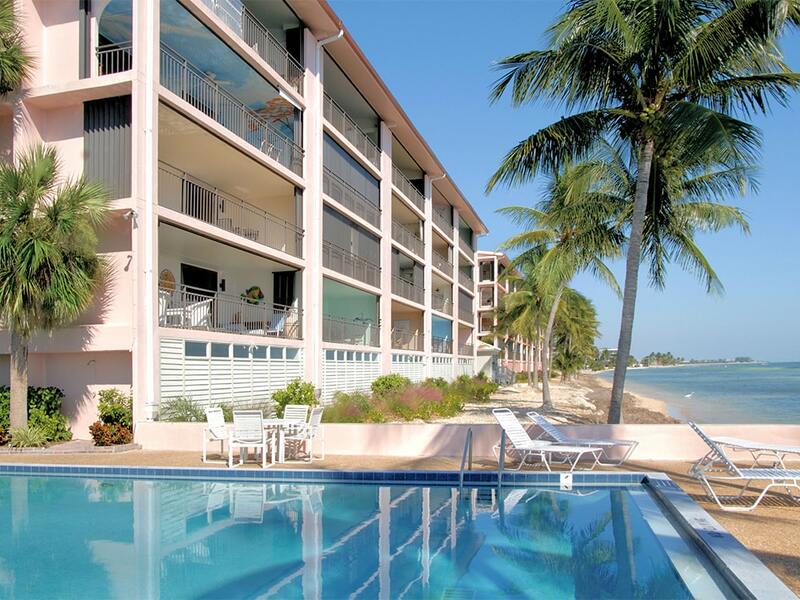 Four of us have rented Key West Dreamin' for a week in March for 7 years now. The house is perfect for 2 couples. 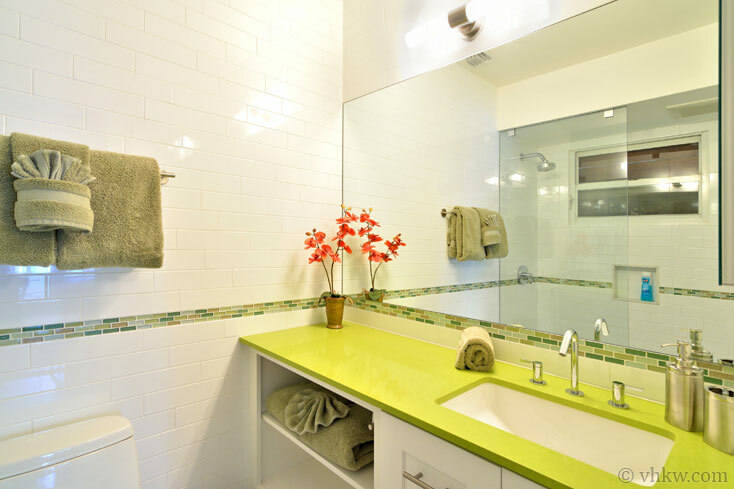 Bedrooms and ensuite are practically identical. 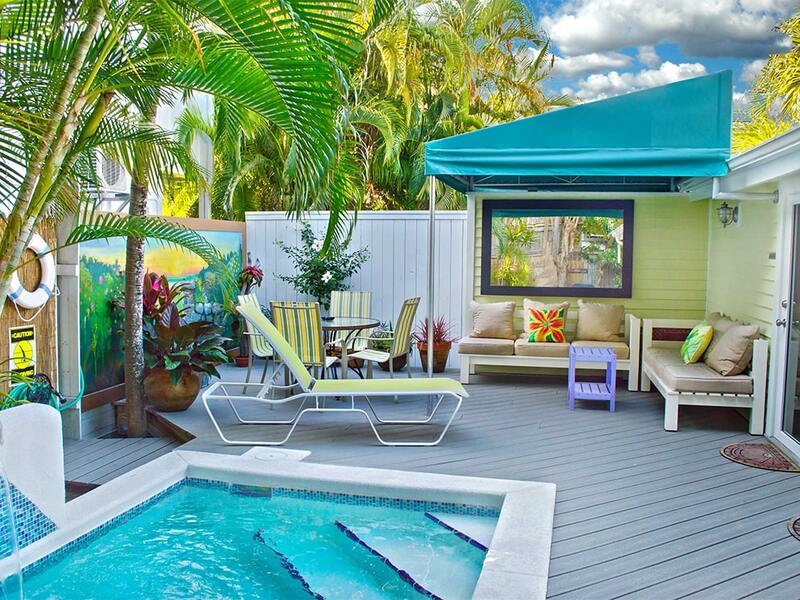 The outdoor space with the pool is just the perfect get away from Pensylvania winter. 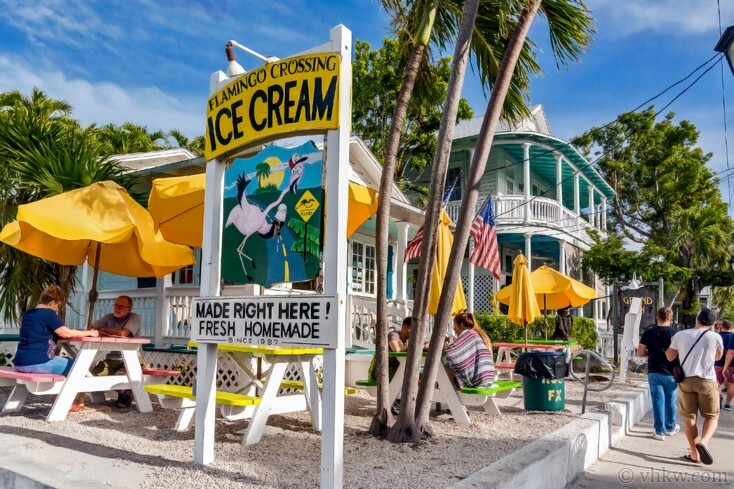 Old town is the quiet end of Key West, but you can still walk or ride to get to any of the action! VHKW makes it very easy to rent. 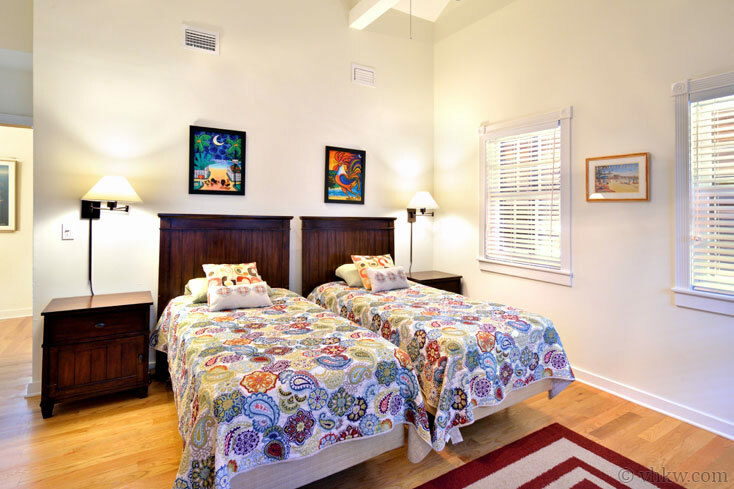 They give you a detailed information package for first-timers and communication is very easy. This year we had lovely flowers awaiting us at the house. Nice touch! 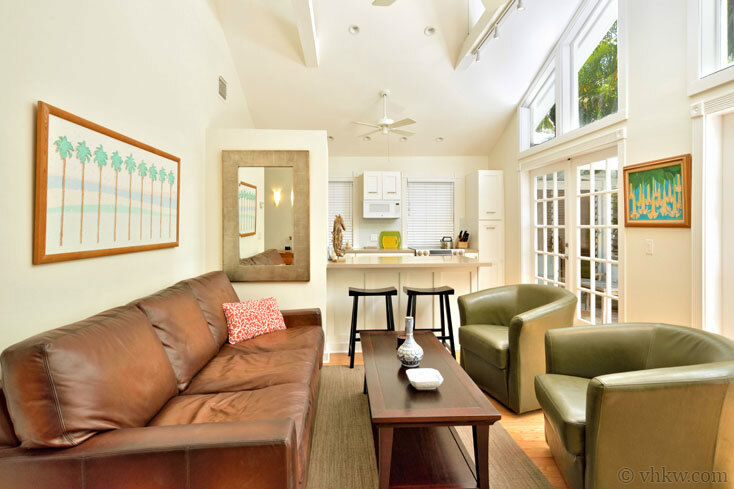 We loved our stay in Key West: the location was perfect (near Duval but on the quieter end), and the home was perfect for 2 couples! Both bedrooms with their own bathrooms and the living room and kitchen were open and just enough room, but not too big. the pool and outside grounds were in excellent shape! Not sure how to begin this review. The staff during a terrible time in their lives they were there for the people who had purchased a vacation home. What a tribute!! 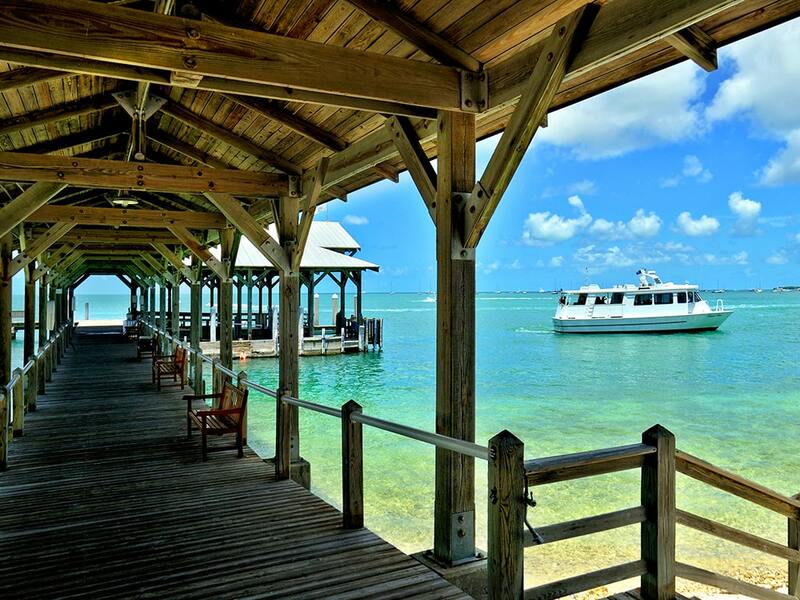 As for “key West Dreaming “ it was a dream! Perfect and clean in so many ways. 10 days after opening the city, you never knew a hurricane had tried to do the worst. It was like it was never there!! If your looking for a vacation home to rent look no further than VHKW. It’s not our first time with them but it’s definitely not the last. See you next year! 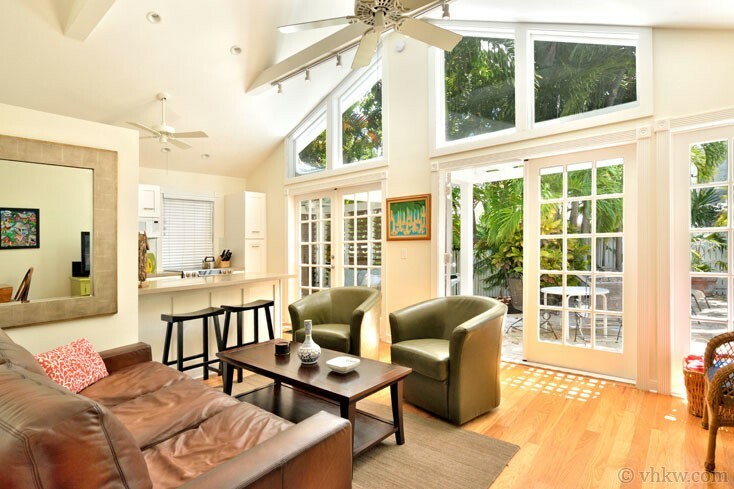 The house that we rented in Key West was absolutely perfect! It was spacious enough for 6 adults. Everything is updated and beautifully decorated. Everything and anything we needed was supplied to us in the kitchen. 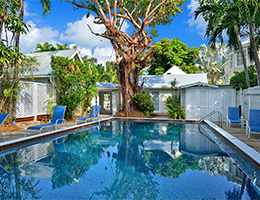 The pool area was wonderful and relaxing especially after a long hot summer Key West day. 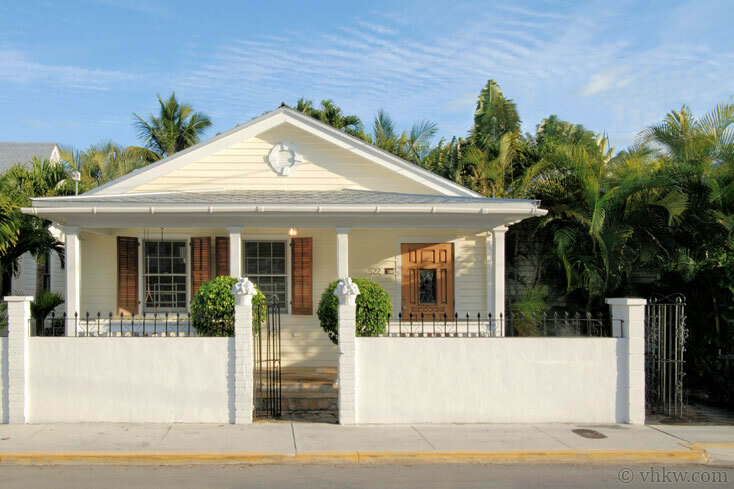 Location is always important in KW and this little perfect house was located just 1/2 block from Duval. Cold A/C, plenty of parking, location... could not of asked for anything better! Wonderful time in Key West! Our home was clean,updated, private backyard with a pool, and provided my wife and I memorable time. I would highly recommend the home we rented to anyone. Paige, our representative from VHKW helped to arrange a wonderful sunset cruise. Just a great time! We definitely hope to come back. Bedrooms spacious and great for 4 adults. Kitchen and living area larger than in photos. Grounds and pool well maintained. Concise direction from maintenance when breaker tripped - panel behind bedroom door. Area quiet even though only 1/2 block walk to Duvall Street. Room to have Christmas eve dinner for 9 adults on patio. Also fit Jeep Renegade in parking space behind gate, nothing larger would fit. Turned out to be a most relaxing vacation. Thank you and your staff for a very enjoyable and memorable experience. Beautiful Place! Great location! We would definitely stay here again!